Having been based in Tokyo since returning from Chicago in 1953, Ishimoto Yasuhiro continued to capture faces of society from within the neighborhood he was living in. In order to document the dramatic transformations of the mega city “Tokyo” on its way into the economic bubble of the 1980s, Ishimoto focused on the areas around the 29 stations of the Yamanote Line, for which he chose 8×10 inch large format film for its high resolution and plasticity. 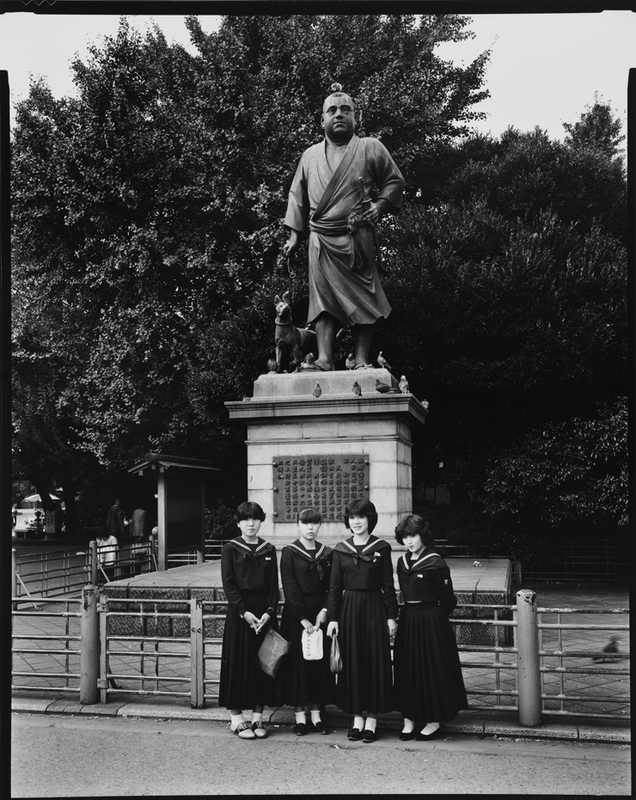 The resulting pictures showcased the new Tokyo Metropolitan Government under construction; brand new tall buildings contrasting with old wooden houses by the wayside; female high school students sporting the latest hairstyles posing in front of the Saigo Takamori monument in Ueno Park; and other aspects of the particular atmosphere and social conditions in the ’80s. The photographs were published in the “Yamanote Line 29” series as part of an “urban inspections” special issue of Asahi Camera (1983). Even after the publication, Ishimoto continued working on the series. Eventually spanning approximately ten years, the series is a basic visual representation of Ishimoto’s view of the city shaped through his long-term observations in Tokyo starting in the years of recovery right after the war. The reprint, duplication, diversion or alteration of images on this website without permission is strictly prohibited. © 2015 Kochi Prefecture, Ishimoto Yasuhiro Photo Center All Rights Reserved.